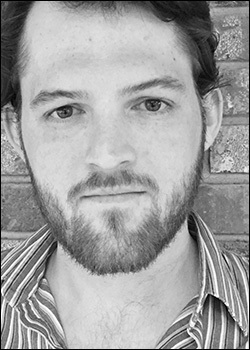 Daniel Altenburg received his M.F.A .from the University of Arizona (2011), and is a Ph.D. candidate in creative writing at the University of Louisiana at Lafayette, where he teaches English and works as Co-Editor-in-Chief for Rougarou: A Journal of Arts and Literature. Daniel is interested in space, the familial, their intertwinement, and the vulgarities of colloquial and gendered language. His work has most recently appeared in The Offending Adam, Deluge, Yalobusha Review, BlazeVox, and The Hunger. His book Flight is forthcoming from Spork Press (March/April 2019).